This is one of my husband’s favorite chicken recipes. I make it almost every week as my husband never seems to tire of it. Lately, I have been making it with orange marmalade jam. But, almost any type of jam will work. According to Jay, the more bitter and coarse cut the marmalade, the better. He has elevated this to a work of art. However, when Raizel was on the Feingold Diet, I used to use mango or fig jam instead and it was good too. For the sauce: mix all the ingredients together. This is sort of a trial and error recipe. I put the jam in a bowl and add enough vinegar to get the right consistency. Then I check the sweetness to see if it needs to be sweeter. If it is sour enough but still too thick, fruit juice can also be used. But I have rarely done that. After I balance the sweet with the sour, I add salt, pepper and garlic to taste. For extra pungency, fresh ginger is also good or even a dab of mustard. Place chicken in a large pan. 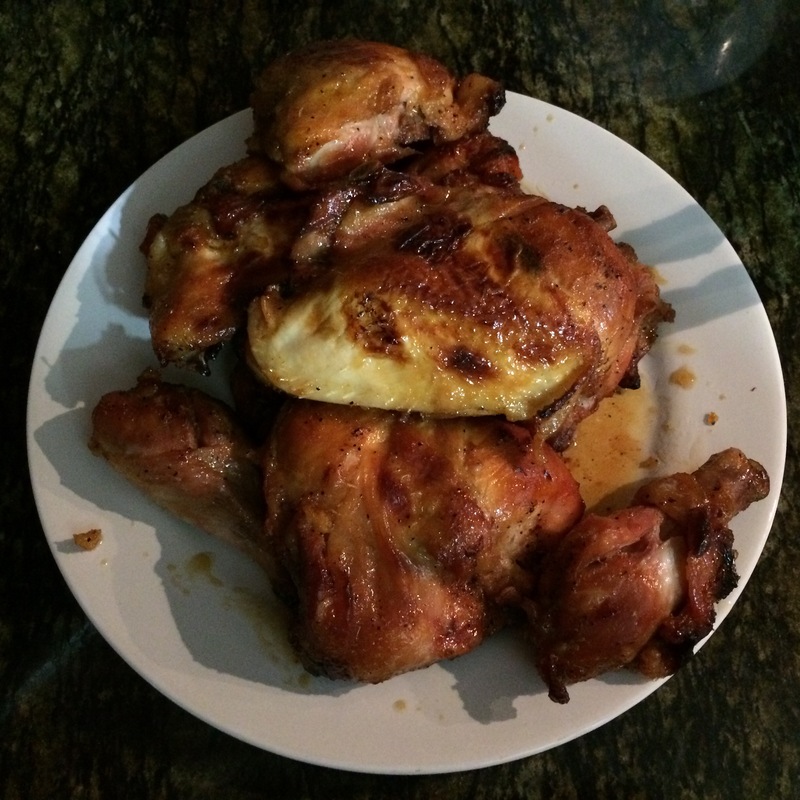 Season chicken with Mom’s Spice Rub and cover chicken with sauce. If possible, let marinate prior to cooking. I do not broil the chicken to brown it, as then the sauce burns off and the flavor is lost. This could also be made in the crockpot or the pressure cooker, but the texture will be different. 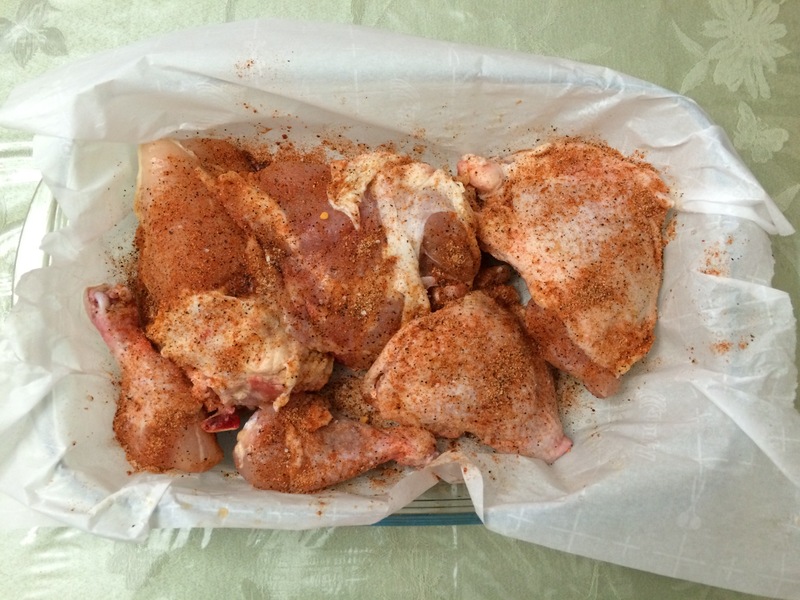 Skin chicken and place in crockpot. Season and pour sauce over chicken. Add 1/2 cup liquid –either water, broth or wine. Cook on low. Follow directions for the crockpot and cook 7 minutes to pressure, using quick release method. OR: Season chicken and brown in pressure cooker. Add sauce and liquid and cook for 7 minutes to pressure, using quick release method. This also can be made on top of the stove. Raizel and my husband finished it by the end of Shabbat, so it was a good thing that I took a picture right away! that looks fantastic! definitely making that soon. This is my tried and true favorite. What a great idea to use jam! I bet a pepper jam would be great with this. Looks amazing, thanks! Hmmm. I will have to look. 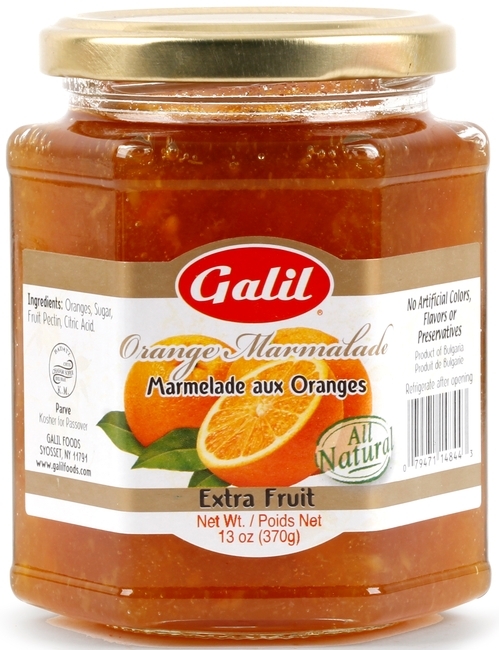 I love orange and ginger marmalades! Ginger marmalade ??? I’m going to have to look into that, it might be a marmalade I finally like !!!! I love ginger marmalade, but I am not sure how easy it is to find in the US. It is more available in Canada. I love the “bees knees” 😁 expression.. I have no clue why it always makes me laugh.. It conjures up little stripy bees dancing the Charlston to me …. Like flapper bees! This looks so very tasty! I’m thinking some kind of jalapeno/fruit jam would be awesome, since I do like spicy! Ooo I like that too! Yum! I bet apricot preserves or jam would work too. Sounds like a great recipe. Apricot preserves definitely works too. My husband right now is into the sweet and sour combo, but apricot, mango are good too. Your rub and your sauce are definitely “finger licking” fantastic!! Wonderful share and will write this down, thanks! Smiles! You too! This blog is my hobby. I find it fun and relaxing.🐣 plus, I need to organize my recipes and this seemed like a creative way to do it. Powder ginger? What jam is your favorite? I get one called Gallil: no preservatives. And, I think fresh ginger is best. Raizel and I like it that way, but my husband does not. I am going to see if I can find a picture. But, Polaner’s is also good. Yummy spice combo…the chicken looks delicious! Looks incredible. It looks like you cook it with the skin on. This would add moistness and flavor to the chicken. Does the family remove the skin or eat it? As a child, I used to love the skin; the crisp texture and the oil and spices. For me, no more skin as an adult. No one eats the skin. Basically, not one likes it. But, as you said, I think it prevents the chicken from drying out.